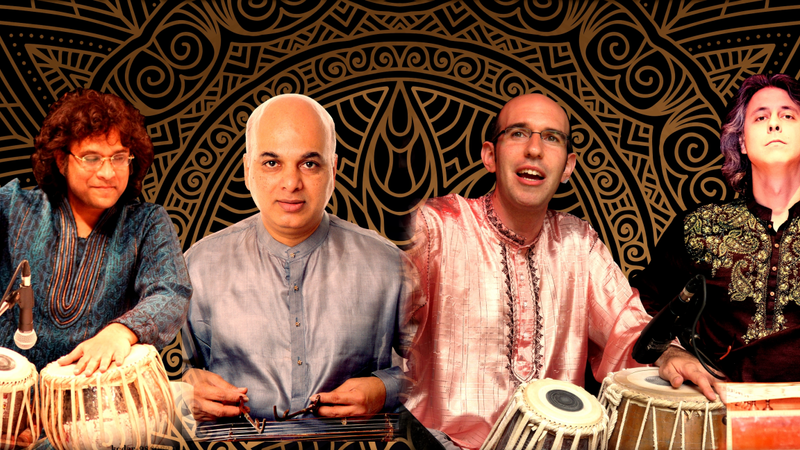 This is a unique evening with the disciple of Pandit Ravi Shankar, Aditya Verma and the superb percussioniste Vineet Vyas - Indian classical music interwoven with stories from their time living and learning in their guru's home in an ancient apprenticeship tradition. C'est une soirée unique avec le disciple du Pandit Ravi Shankar, Aditya Verma et le superbe percussioniste Vineet Vyas - musique classique Indienne entrelacée d’histoires de leur temps d’apprentissage selon la tradition ancestrale de vivre chez leurs gourus respectifs. Aditya Verma is a Sarod player and renowned artist on Canada’s world music stage. His electrifying performances reveal his virtuosity and intensely emotional approach. He has numerous recordings of traditional and creative collaborations with musicians from diverse global traditions. 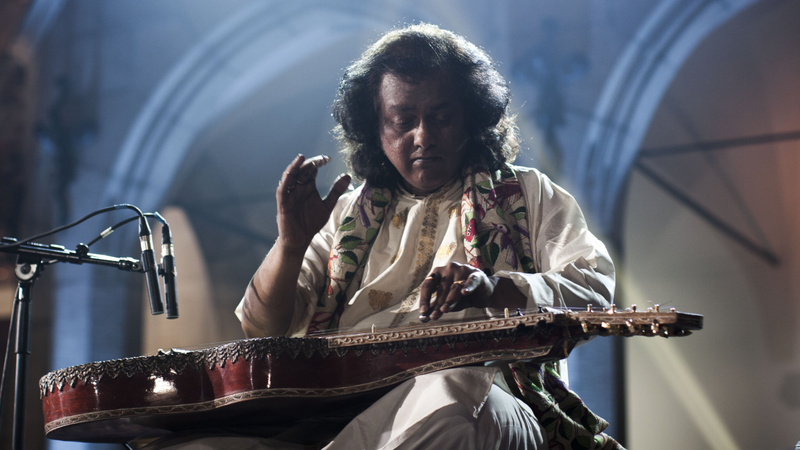 Aditya is a disciple of the iconic Ravi Shankar and sarod master Aashish Khan. 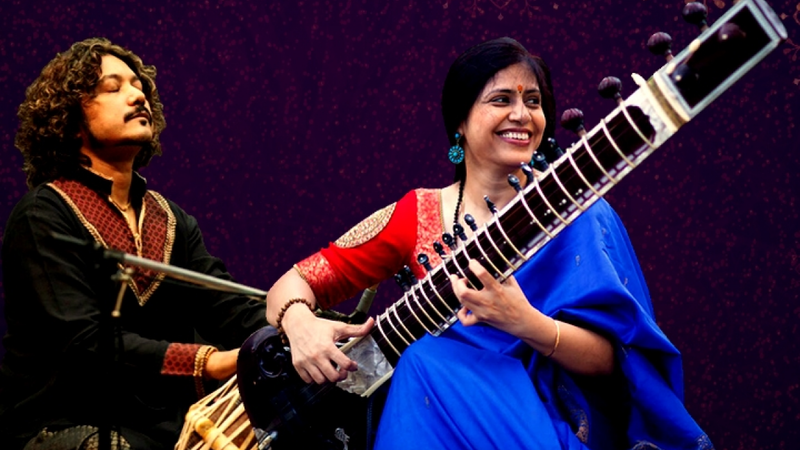 In addition to concert across North America, Europe and India, he is a passionate, engaging speaker and frequently conducts lecture-demonstrations on Indian classical music. Due to unforeseen circumstances, Udhai Mazumdar will not be available, but we are lucky to have Vineet Vyas, who has graciously agreed to replace Udhai Mazumdar. 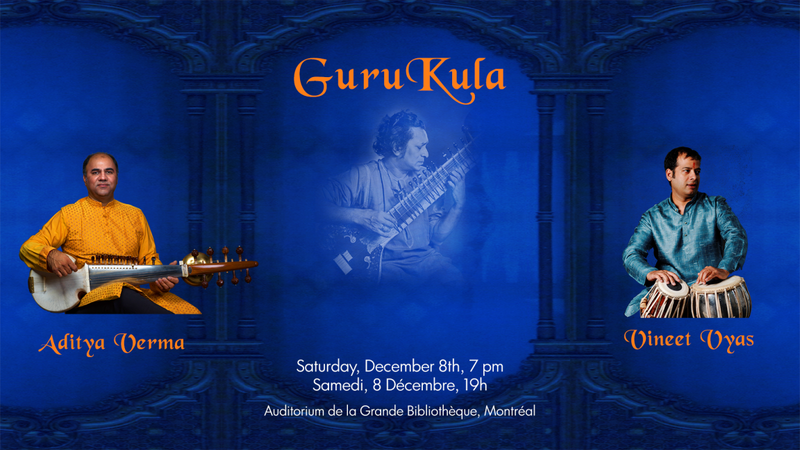 Vineet Vyas is a highly accomplished musician and familiar to Montreal audiences. He also had the extraordinary privilege of learning from the legendary Pandit Kishan Maharaj at his Gurukula in Benares.